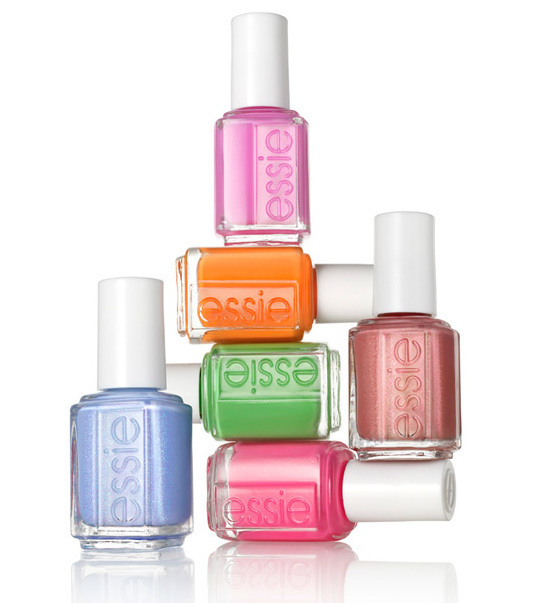 If there was ever an Essie polish that you could describe as a "cult-classic" it would HAVE to be Bikini So Teeny! It was released in the Summer of 2012 and was instantly a hit. Every blog post I found was raving about this shade. You'll also find this polish on most nail bloggers "Top 10 Essie's You Need" list and is one of Essie's Best-Selling Polishes of All-Time. Whew. This polish has quite the resume! Up until recently, I wasn't the biggest fan of Bikini So Teeny. It's a gorgeous cornflower blue that borders on almost periwinkle and has the finest shimmer. While I loved the colour, I truly hated the formula. The formula on my bottle got thick and goopy and unusable almost immediately. I borrowed my friends bottle of Bikini So Teeny so I could swatch for my blog a few years ago, and hers was exactly the same! I thought "what a terrible polish. I have no idea why everyone loves it so much?" Eventually I bit the bullet and purchased a new bottle for my collection. I've had it for a year and a half now and have had zero problems with it! Either Essie updated the formula or I've been better at keeping the neck of the bottle free of polish so it can close and get an airtight seal. Not closing your polish properly can definitely ruin the formula, because air gets in and goops it up. Because of the fine shimmer in Bikini So Teeny, the shimmer can get up in the threads of the lid and create a space for air to get in. The best thing to do is to clean off the lid of your polish with a cotton pad and a bit of polish remover. Keep it free of polish before you close it and you should have no trouble with this beautiful polish! 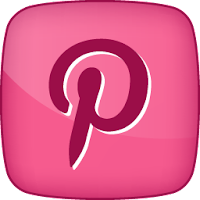 I found this article where Michelle Saunders, one of Essie's leading nail artists, talks about the best Essie colours for various skin tones. She listed Bikini So Teeny as the most flattering bright shade for medium skin tones. I totally agree with her but I also think EVERYONE looks amazing in Bikini So Teeny! It looks great on my lighter skin tone and I saw an instastory with Essie's hand model Christina Grant who has a deeper skin tone, wearing Bikini So Teeny and it looked absolutely incredible on her. This is definitely a shade that everyone can rock. I'm glad my love for Bikini So Teeny has come around full circle. 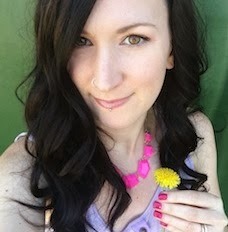 I'm back to loving it and it's one of the shades I can't get enough of this Spring and Summer. P.S. 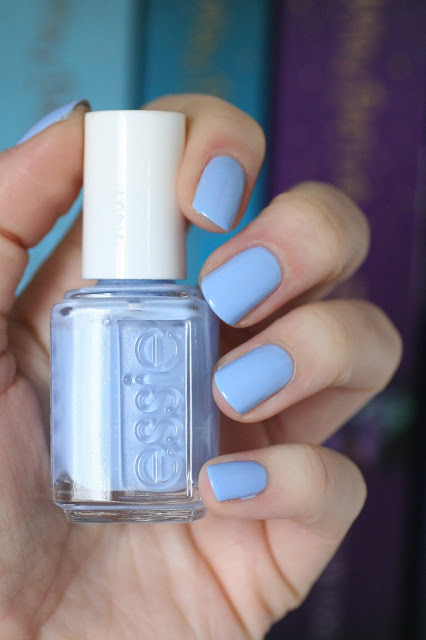 If you want to see how this shade compares to other pale blue Essie's go HERE. This might be my all-time favorite Essie color! Thanks to your tip, I've found that keeping the neck of the bottle clean (so it stays sealed up) has prevented the clumpy texture I hated so much. Thanks!! Yay! So happy to hear that's working Jess! I also love this colour. However, I'm not in love with the formula. After three coats, I can still see a bit of my nail underneath. Oh well. Yep definitely can be a tricky formula Chantal. Always a shame when it's such a beautiful shade!